To celebrate the re-launch of Not So Easy (Souls in Peril) I am giving away TWO audio books! 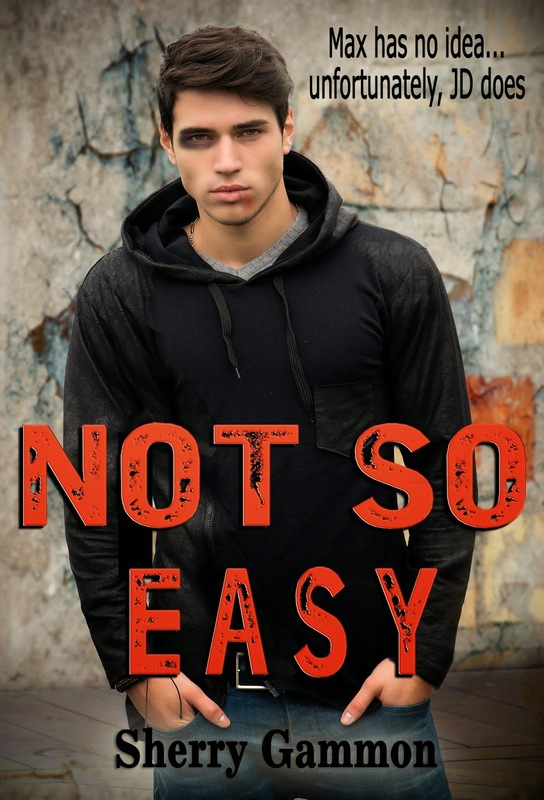 Not So Easy (Souls in Peril) has a new cover, exciting edits, (a new chapter has been added), and now Not So Easy is an audio book, narrated by the talented Ryan Shaughnessy. Not So Easy has a 4.9 out of 5 star rating on Amazon! Senior Max Sanchez has it all. head cheerleader, Emma McKay, and he has a great group of friends. heâs being bullied at every turn. Heâs also barely surviving. and Max soon learns that life is not so easy for everyone. Max works to the point of exhaustion trying to help JD survive the chaos that is his life, and his eyes are opened to a world he had no idea even existed. Not so Easy is a story about hope, surviving, and never giving up. * Donna~ The Romance Cover Heart wrenching, sobbed and sobbed through this book, so many familiar circumstances it was like reliving my school life all over again...very sad, very emotional but unfortunately oh so very true. A fabulous book, that puts you through an emotional wringer..not my usual romance but a great YA book that had some very important messages throughout the book..brilliant. Can you tell us a little bit about yourself? Iâm from a cornfield an hour and a half southwest of Chicago and the oldest of three children. I was high school valedictorian and passed the CPA exam after obtaining a Masters degree in accounting. Then I followed my dream and moved to Los Angeles to make a career in acting and not from a cubicle. Every day brings a new adventure! What do you do when you are not acting/narrating? Every day Iâm doing something that relates to my acting. Whether it be auditioning, shooting, or social networking, the acting never stops. Even when Iâm watching shows on Netflix, I watch certain shows that would appeal to my age demographic. What is your favorite smell? Momâs pot roast coming from the slow cooker when I travel back to Illinois. What was your first acting project? There were the spring concert shows in grade school, but my first main gig was in the summer before my 8th grade year where I was the ventriloquistâs dummy in the radio show in a production of âAnnieâ. How/Why did you get into acting? I love entertaining people. After getting a feel of making so many people laugh with my lines, I was hooked. Looking back, I wish I would have pursued in sooner, but I didnât realize I could make a career of it because of how and where I was raised. Is there any particular actor or book that influenced you growing up or as an adult? I grew up watching all the James Bond and Indiana Jones movies. Itâs been a goal of mine to be James when Iâm the right age. But Harrison Ford has always been an influence because he is also from Illinois and wasnât given much of a shot at the beginning of his acting career. I feel I am very similar to him in that regard in that we both have had a chip on our shoulders to prove the world wrong. Would I find anything growing in your refrigerator right now? Nope. I keep things pretty clean. If I let one thing go, it would probably be the dust in my bedroom. Who is your favorite actor? Itâs hard to pick just one. Sean Connery, Harrison Ford, Denzel Washington, Matt Damon, and Tom Hanks are at the top of the list. What is your favorite part of acting and why? Your least favorite and why? Favorite: Things are always changing but yet they are still structured. You may be on the same set, but the storyline is changing and things donât get stagnant. Worst: Rejection haha. Chocolate or Brussels sprouts? Iâm a fan of both actually, especially if the brussels sprouts are doused in butter. What has been the toughest criticism given to you as an actor? I was new to a class and the teacher thought I wasnât taking the scene seriously. He said I wouldnât amount to anything. What has been the best compliment given to you as an actor? I took a three week intensive with a casting director, and after we finished the scene in the last week, he told me he could easily see me as a contract role on the show. 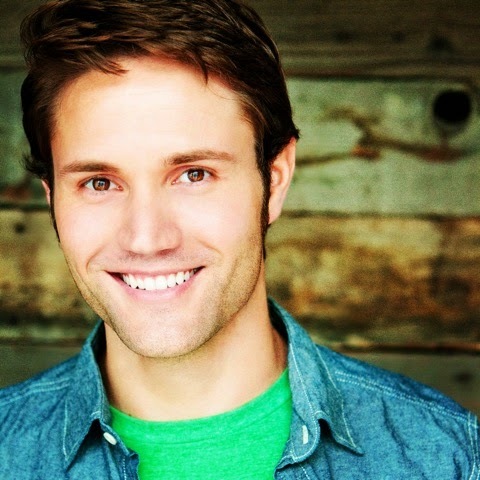 Do you have any advice to give to aspiring actors? If a kid from a small town in Illinois with no formal training can move across the country and find a place in this crazy entertainment world, there is no reason you canât do the same. You will most likely need lots of patience and a strong backbone, and most people from back home wonât understand the extent of what you are doing. But you will. As long as you believe this is what you were made to do, you will find a way to make it happen. * Dani of KindleBookLove.blogspot.com: Wonderful, Amazing, Fantastic Stars. This story will stay with me forever. It spoke to my soul...This book is amazingly written and so awesome. I will never forget this book. It got me deep... I recommend it to everybody with children, children, and adults alike. Everybody should read this amazing book. *Camelia Skiba: Sherry drives the reader to real emotions masterfully creating trials, conflicts and doubts. You'll cry and laugh, ache and root for these heroes. I also liked the messages that come with this book, that life is worth living, that we should never give up and we should always try our best. * Cindy Bennett: Souls in Peril is seriously one of the best books I've ever read. It had me in turn laughing and crying, my heart aching for all the characters involved. Gammon's writing is full of humor, sorrow, realism, and pulls you into places you might not want to go, but will be happy you did when all is said and done. I HIGHLY recommend this book! More reviews here, here and here. Not So Easy ebook is specially priced for the next few weeks as I introduce the exciting audio book. Enter to win an audio book!